Our classes cover HKDSE, IGCSE, GCE A-Level, IB and other curricula, preparing students to enter top schools and universities in Hong Kong or abroad. We are offering an early bird promotion now. 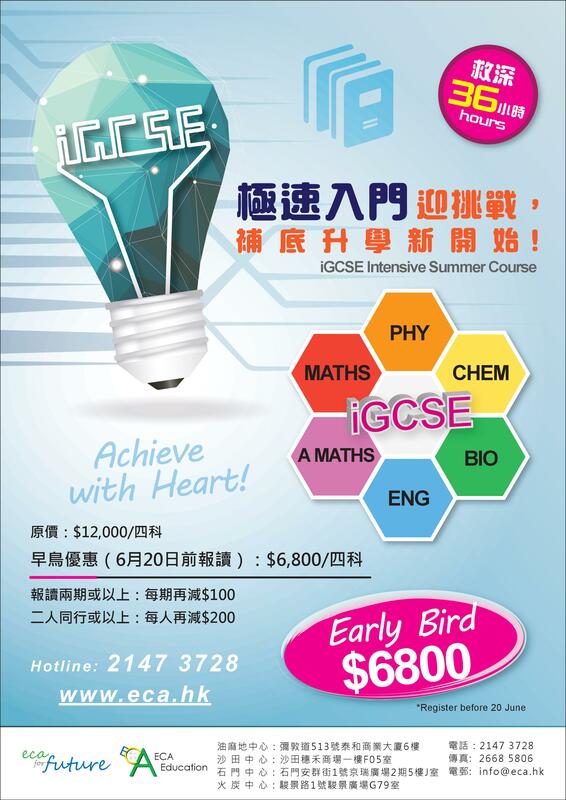 Come and join our GCE A-level/ IAL/ IGCSE Summer Course at the price of $6,800 only! Remember to grab the chance before 20 June! Call us at 2147-3728 for more details or to book for the course. ECA Education reserves the right to amend class schedules without prior notice.